The owners of this home in the Sixmile Creek neighborhood in Waunakee, WI requested a new design for an outdated 1990’s bath. We replaced the whirlpool tub with a walk-in shower and transformed the space into a functional master suite with a walk-in closet. The new shower has bench seating and a frameless, heavy glass enclosure and door which makes the space look more contemporary and feel larger. The entire master bathroom was redesigned to maximize the functionality of the existing layout. The result is an average sized bath that is more serviceable, feels expansive, looks elegant, and is exceptionally easy to maintain. A cost-effective, low maintenance, prefabricated acrylic shower base was used for the shower floor. The white shower floor is pulled into the rooms design with a band of circular white tile and a bright white vanity top. 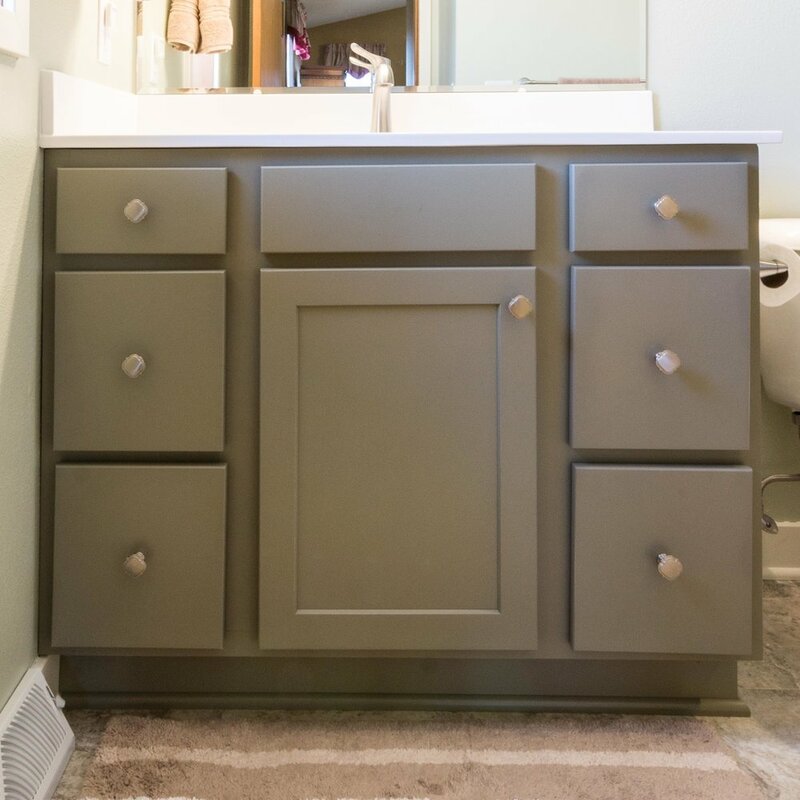 A custom tile layout and color choice for the bathroom floor and shower are carefully coordinated, and elements of gray in the wall tile match the vanity cabinet color. 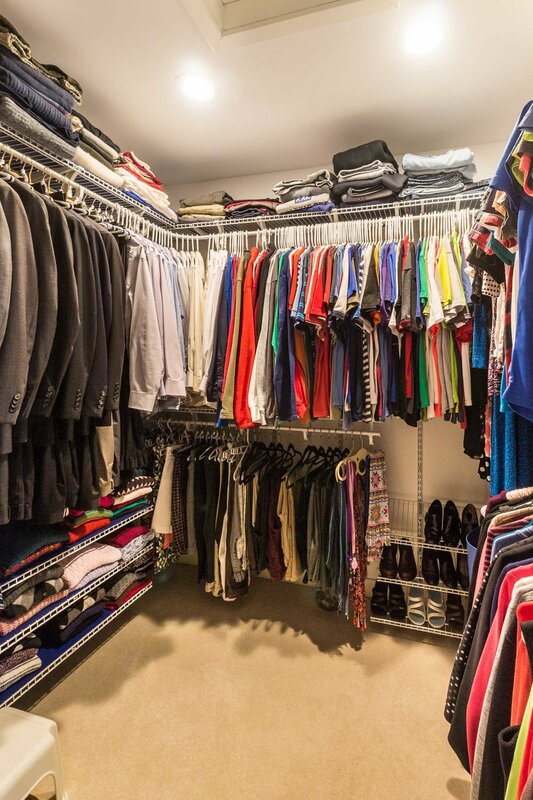 A 3-foot by 3-foot shower was removed and the space was used to expand the walk-in closet. The walk-in closet door was converted from a hinge door to a pocket door, allowing maximum usable space.